Chinese giant plans to spend $2bn over next five years to assuage security fears. Huawei has revealed a multi-billion dollar spending plan to boost its cybersecurity operations as it continues to battle worldwide suspicions over its hardware. The Chinese mobile giant has revealed it will boost its staff numbers and upgrade research and development facilities as part of the major investment. The spending is part of Huawei's "integrated product development" program, known as IPD 2.0, which will see Huawei invest in new products and technologies across its portfolio. The company hopes that the plan will help ease global concerns that its equipment is being used to conduct surveillance for the Chinese state, accusations that it has consistently denied. 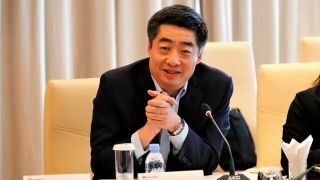 The news was revealed during a wide-ranging press conference held with international media and Huawei rotating Chairman Ken Hu. Hu noted that there have been no serious cybersecurity incidents in 30 years, and the company runs an independent security laboratory on its main Shenzhen campus. He added that Huawei is open to building new cyber security evaluation centers in locations including the US and Australia following the launch of similar centers in the UK, Canada, and Germany. "We believe that cyber security is a global issue," Hu said, "It's an industrywide issue and we need to address it together." "Huawei has subjected itself to the strictest reviews and screening by regulators and customers, while expressing understanding of legitimate concerns that some stakeholders might have," a company statement added. "No evidence indicates that Huawei equipment poses a security threat," it added, "Huawei remains open to concerns about its openness, transparency, and independence as well as dialogue. Any proof or evidence could be shared with telecom operators, if not to Huawei or the public at large."